A bright white smile signifies youth, vitality, and health. Yet teeth naturally darken over time. Genetics, overall health, medications, and even dietary choices can affect the color of your teeth, but most people can achieve a brilliant white smile only through teeth whitening. Here are 3 options for whitening your teeth. Over the counter teeth whitening solutions include toothpastes, gels, and rinses. If you have healthy teeth and gums, these products are not likely to cause any problems, and they can temporarily boost the whiteness of your smile. However, they do not last as long or whiten as well as professional teeth whitening. 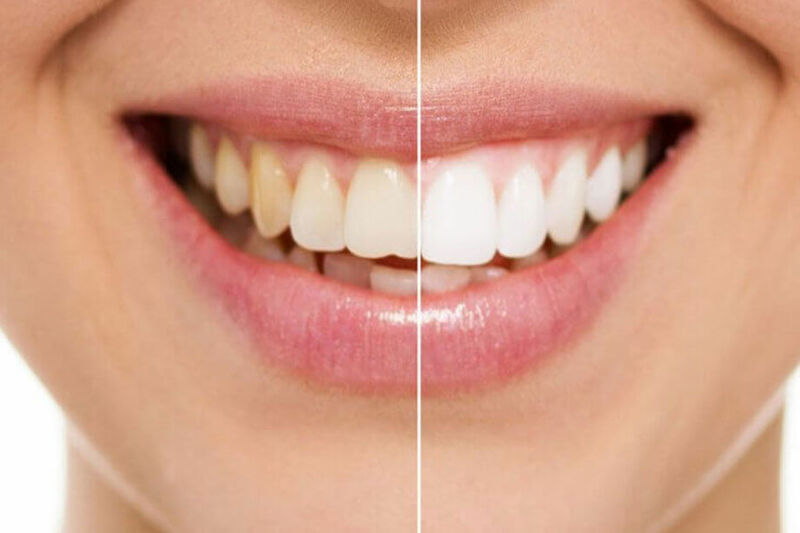 When backed up by home treatments, professional teeth whitening can last for a year or more, though you will still need your twice-annual cleaning and checkup. In-office whitening typically takes just one session, while home trays need to be worn every night for several days in a row. If your teeth need more help than professional teeth whitening can provide, you might consider composite bonding. A flexible resin is hand sculpted and contoured, and then dried to a strong, durable finish. This is an excellent, reasonably priced solution for not only staining but also small chips and gaps, and it takes just one appointment to complete. Composite bonding is not as strong as porcelain veneers, so you need to be sure not to bite your fingernails or chew on ice or pens. If your smile is healthy but unsightly, porcelain veneers are considered the best cosmetic solution. Highly durable and aesthetic, porcelain veneers can last for years with proper care. They allow you to remake your smile in an extremely natural-looking way. Most of the time, we can cover just a few teeth in the front and whiten the rest of your teeth to match. This minimizes costs while preserving the natural chewing surfaces on the back teeth. Of course, you will need to have your teeth whitened regularly, as your veneers will not yellow like your natural teeth. Porcelain veneers cost more up front than composite bonding, but they tend to last a great deal longer. With proper oral hygiene, as long as you do not put tremendous forces on them (such as cracking nuts with your teeth), porcelain veneers are not likely to fail. At one time, only those who won the genetic lottery and those with fabulous wealth were able to enjoy bright white smiles. Today, though, there are options at different price points to help you achieve the beautiful, highly aesthetic smile you have always wanted. If you would like an experienced and compassionate dentist to guide you through your dental journey, contact Imperial Dental Associates at 203-227-2520 to schedule your first appointment. Welcome to Imperial Dental Associates! Service is at the core of everything we do. Our Westport dentistry team works together to provide a warm, comfortable and relaxing environment. Contact us today to request an appointment.